Hadassah International is deeply saddened to learn of the sudden and untimely passing of Rabbi Yechiel Eckstein z”l, Founder and Director of the International Fellowship of Christians & Jews (IFCJ). Rabbi Eckstein was a true friend of Hadassah, an ardent supporter, and a generous donor to and champion of the Hadassah Medical Center. He was a recipient of Hadassah’s Henrietta Szold award. Earlier this week he was an honored guest at a Hadassah International fundraising event at the hospital. He took a guitar and sang, ‘From the summit of Mount Scopus,” while the audience joined in. No one listening to him could have guessed that Rabbi Eckstein was singing a farewell song and that he would die two days later. 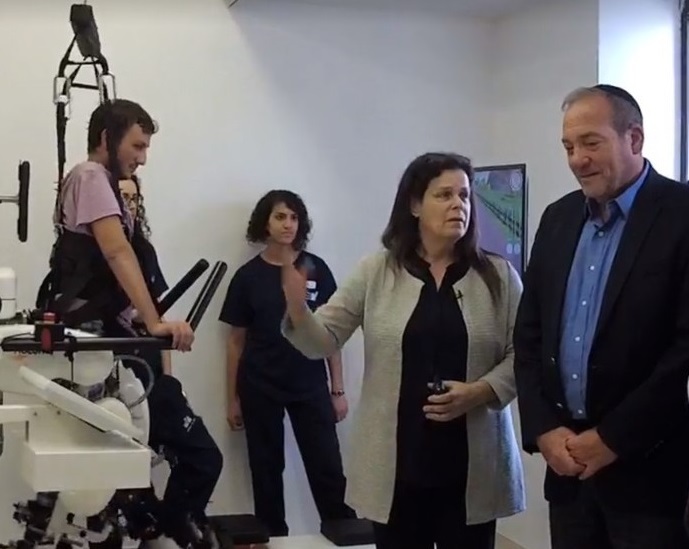 On January 2, Rabbi Eckstein (whose last name means “cornerstone”) helped lay the cornerstone for the new Rehabilitation Center at Hadassah Hospital Mount Scopus, unveiling The Lokomat, a state-of-the-art robotic treadmill machine donated by the IFCJ. Rabbi Eckstein’s strong connection to Hadassah’s treatment philosophy of ‘bridges to peace,’ offering equality of medical service to all who walk through its doors, resonated deeply with him. Since his founding of the IFCJ in 1983 to build bridges of goodwill between Christians and Jews, Rabbi Eckstein raised over $1.4 billion in donations for Israel. He exemplified selfless, compassionate humanitarian service to G-d, Israel, and the Jewish people. We will remember him as a man of great warmth, with a spirit of generosity and passion for service to Israel. On behalf of Hadassah International, we extend our most sincere and deepest condolences to the Eckstein family. May they be comforted among the mourners of Zion & Jerusalem.